Temecula Chamber of Commerce | New Temecula Today is HERE! 15 Apr New Temecula Today is HERE! Stop by the Chamber today to get your copy of the NEW Temecula Today! 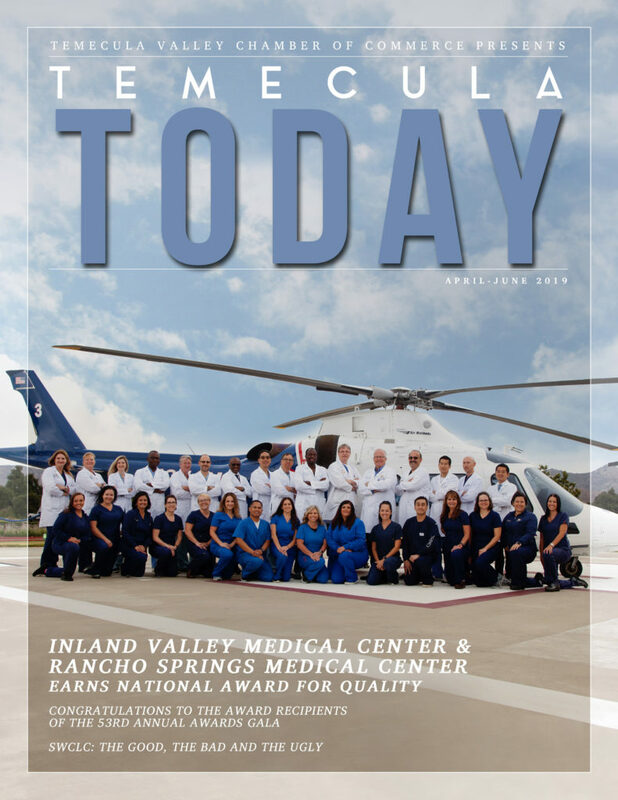 Temecula_Today_2019_April-June_WEB This quarter’s newsletter features the story of the national award received by Inland Valley Medical Center & Rancho Springs Medical Center. Learn about our City’s award recipients of the 53rd Annual Awards Gala. Get tips on how to recruit the right candidate for your company. Plus, you won’t want to miss the advocacy update from the Southwest California Legislative Council. If you can’t make it to the Chamber, you can view the newsletter HERE!